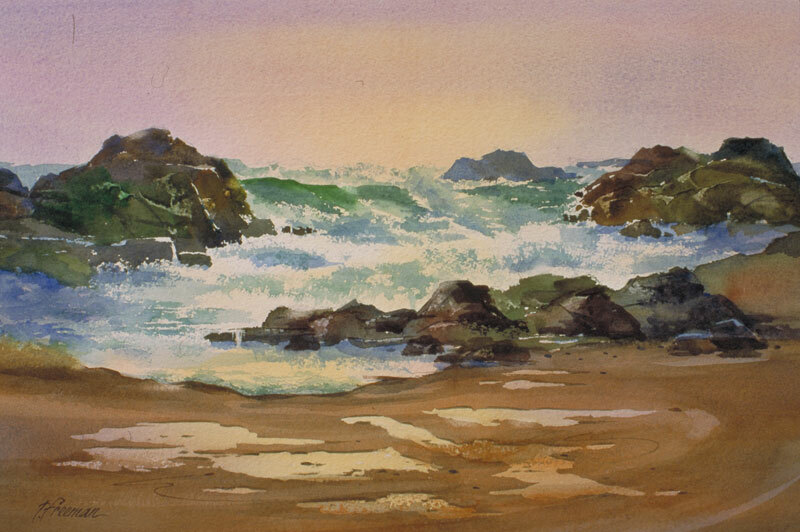 Thomas Freeman Original Watercolor Painting: "Pacific Surf"
I liked the wet tide pools in the sand in this ocean scene. I painted them by first masking them off, because otherwise trying to paint around all those little details would not let me get a nice smooth wash for the sand. Bringing out the roughness in the water was a challenge as well. A fun one to do!